Faculty Member, Community Health Sciences at the University of Calgary, in the Community Rehabilitation and Disability Studies program. First things first: I am all the time looking for exchange of thoughts and collaborations so if my work is of interest to you email me. And any comments on my papers are greatly appreciated. I have a PhD in biochemistry and I worked in biochemistry from 1992- 2008. On the side I worked for the last 20 years on ethics and governance of science and technology issues and on issues of importance to disabled people. Bioethics theories are supposed to develop ethical principles, which allow for the governance of science, technology and biomedical research. It is believed that many negative consequences of S&T for humankind could be avoided by using ethical principles to govern them. So what are the hot topics in the bioethics discourse of today? Recently various bioethics meetings took place in Singapore. One being the 10th World Congress for Bioethics (WCB) another being the 8th International Congress of Feminist Approaches to Bioethics (FAB) the Human Rights and Public Health Ethics the Concept of Community in Bioethics and the The 11th Asian Bioethics Conference (ABC11) and Fifth UNESCO Asia-Pacific School of Ethics Roundtable. The Abstract book for ABC11 can be found here. The FAB meeting program can be found here and the WCB program here. Going through the programs gives you the reader a good idea as to what is on the Bioethics agenda nowadays and I leave the reader to discover what might be missing in the discourse. I gave one talk at the WCB on brain machine interface ethics and one talk at the ABC on energy and climate security. If you think that topics where missing it is up to you to become active and add to the mix. Gregor Wolbring is an Assistant Professor at the University of Calgary. He is Affiliated Scholar, Center for Nanotechnology in Society at Arizona State University, USA; Part Time Professor, Faculty of Law, University of Ottawa Canada; Adjunct Faculty Critical Disability Studies, York University, Canada. He is a science and technology governance scholar, a disability/vari-ability/ability studies scholar, and a health policy and science and technology studies researcher. He is the Chair of the Bioethics Taskforce of Disabled People's International. 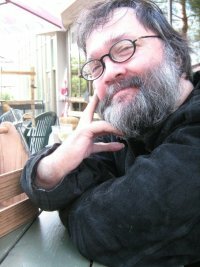 He publishes the Bioethics, Culture and Disability website, authors a weblog on NBICS and its social implications and on Ableism and Ability Ethics and Governance and contributes to the What Sorts of People blog. © Gregor Wolbring, All Rights Reserved, 20010. Please contact the author for permission to reprint.